You can manage products from your existing Marketplace, we will automatically update other Marketplaces. 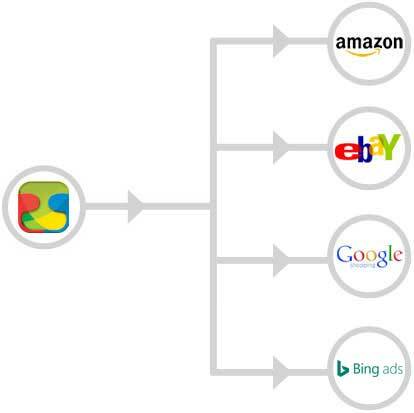 We can automatically manage eBay, Amazon, Shopify, Google Shopping and Bing Product Search. No manual work will be required. If your item is sold on one marketplace it will be automatically updated on other marketplaces. 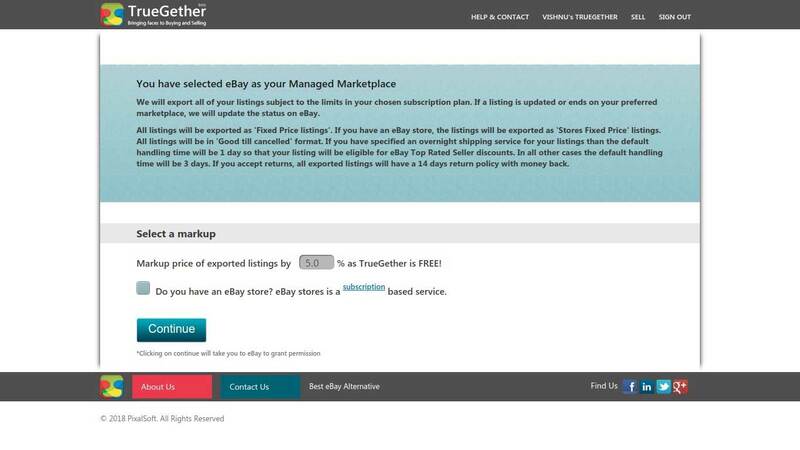 Want to Publish Listings from eBay to TrueGether? 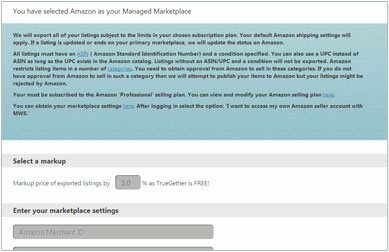 Want to Publish Listings from Amazon to TrueGether? Want to Publish Listings from Shopify to TrueGether? 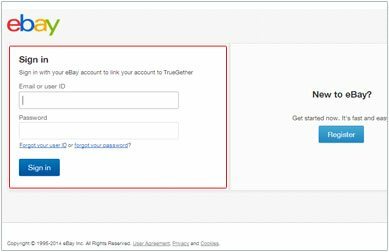 Want to Publish Listings from TrueGether to eBay/Amazon? 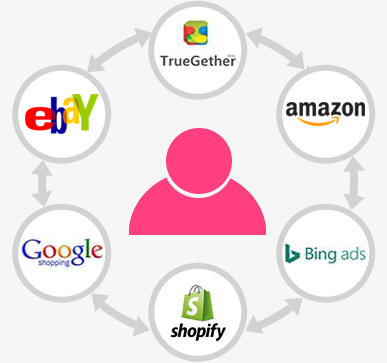 TrueGether allows you to automatically manage Amazon,Bing, Google Shopping and TrueGether from the eBay itself in just few simple steps. 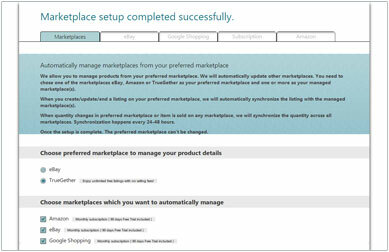 Click on “Configure Marketplace“ link under “Automate Multi Channel eCommerce selling” section. Clicking on the link will take you to “Manage Marketplaces page”. Select eBay as your primary marketplace and then select Amazon, Google Shopping and TrueGether as marketplaces which you want to automatically manage. Click on “Continue”, this will take you to subscription page. Now “eBay configuration page” will open. Fill the discount percentage in the “select discount box“ as TrueGether does not charge any listing or selling fee. You can enter any possitive number in this discount box. For e.g. : If you enter 5 in this discount % box and your item price on eBay is $100, so when you import your listings from eBay your item price will be $95 on TrueGether. You can also enter 0 in this discount box. f you have not configured PayPal, where you want to be paid. It will take you to PayPal configuration page. 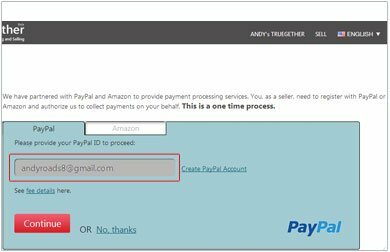 If you had already configured PayPal then you will directly see eBay login page. Ebay login page will open. Then Grant application page will open. Click on “I agree” in Grant application access page to continue. 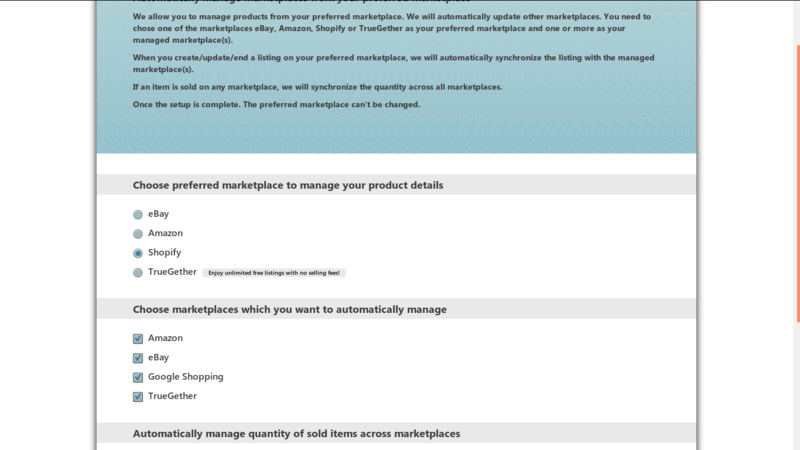 This page has two sections “Select a markup” and “Enter your marketplace settings”. Step 11 and Step 12 will explain you about the two section. As TrueGether does not charge any listing or selling fee, so when you export any product to Amazon you may want to markup your prize. For e.g. : If you enter 5 in this markup % box and your item price on TrueGether is $100, so when you export your listings from TrueGether your item price will be $105 on Amazon. You can also enter 0 in this markup box. Click on the box to enter the required fields. Now your marketplace setup is complete. 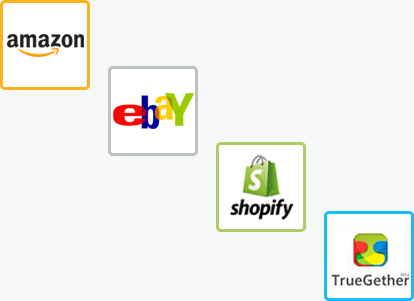 You will be able to manage Amazon, Google Shopping, TrueGether automatically from eBay. 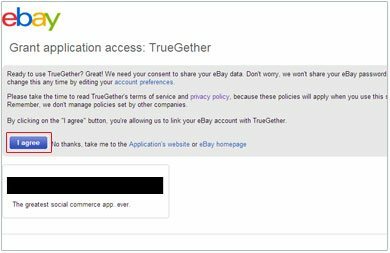 When you add, edit or end listings on eBay, it will be automatically reflected to Amazon, Google Shopping and TrueGether. 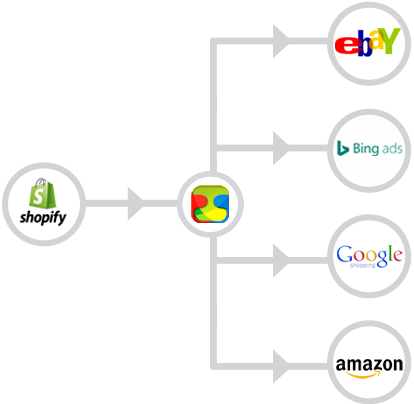 You can automatically manage eBay, Amazon, Google Shopping, TrueGether from Shopify in just few simple steps. Login to TrueGether, You will see your “My Profile page”. 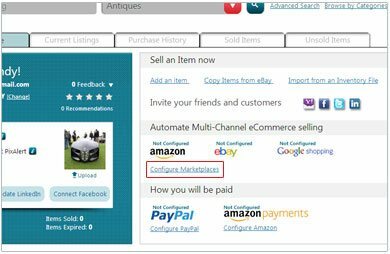 Click on “Configure Marketplace“ link under “Automate Multi Channel eCommerce selling” section. Clicking on the link will take you to “Manage Marketplaces page”. 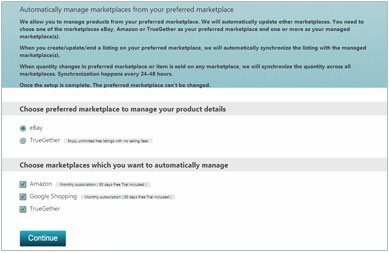 Select Shopify as your primary marketplace and then select eBay, Amazon, Google Shopping and TrueGether as marketplaces which you want to automatically manage. Now “eBay configuration page” will open. 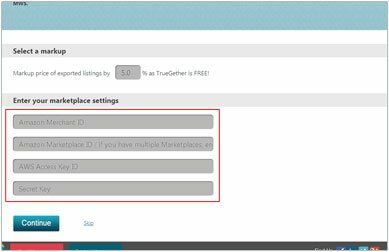 Fill the markup percentage in the “select markup box“ as TrueGether does not charge any listing or selling fee. You can enter any positive number in this markup box. For e.g. 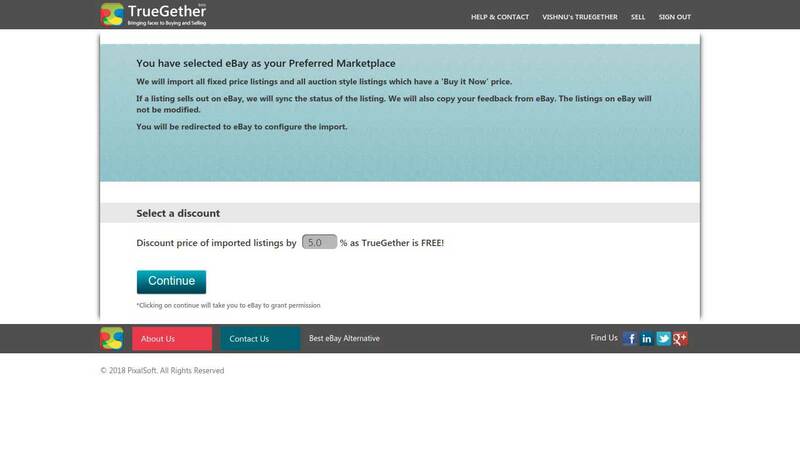 : If you enter 5 in this markup % box and your item price on TrueGether is $100, so when you export your listings to eBay your item price will be $105 on TrueGether. You can also enter 0 in this markup box. Then, click on “Continue”. Ebay login page will open. Sign In to your eBay account. Then Grant application page will open. Click on “I agree” in Grant application access page to continue. This page has three sections “Select a discount”,“Enter your marketplace settings” and “Enter Shipping Details”. Step 12 will explain you about the three section. 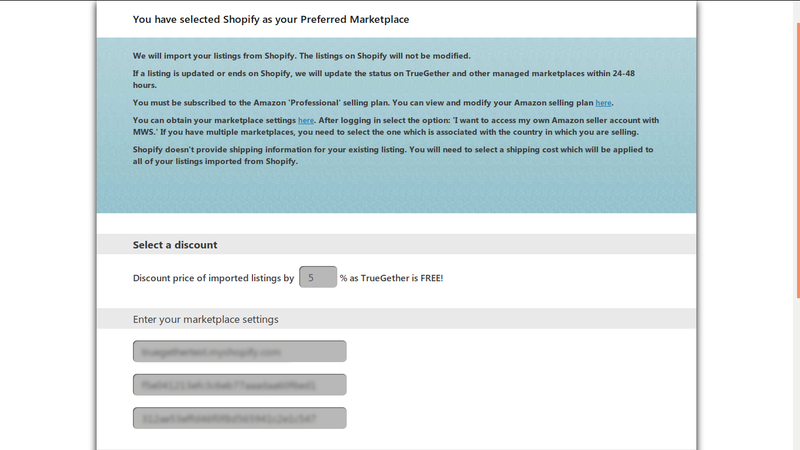 Select a discount As TrueGether does not charge any listing or selling fee, so when you import any product from Shopify you may want to discount your price. For e.g. : If you enter 5 in this discount % box and your item price on Shopify is $100, so when you import your listings from Shopify your item price will be $95 on TrueGether. You can also enter 0 in this discount box. Enter the shipping cost. This cost will be applied to all imported listings from Shopify. 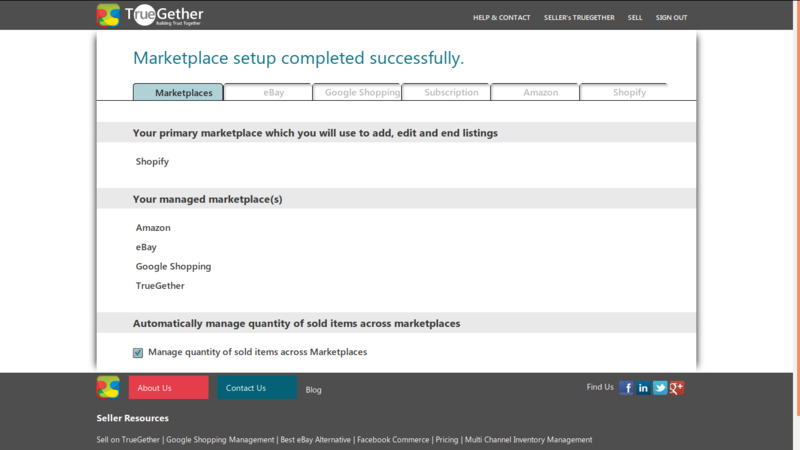 You will be able to manage eBay, Amazon, Google Shopping, TrueGether automatically from Shopify. When you add, edit or end listings on Shopify, it will be automatically reflected to eBay, Amazon, Google Shopping and Truegether. 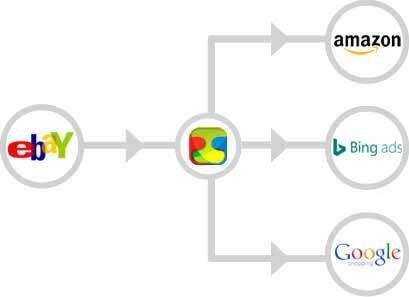 You can automatically manage Amazon, eBay, Google Shopping from TrueGether in just few simple steps. Select TrueGether as your primary marketplace and then select Amazon, eBay and Google Shopping as marketplaces which you want to automatically manage. 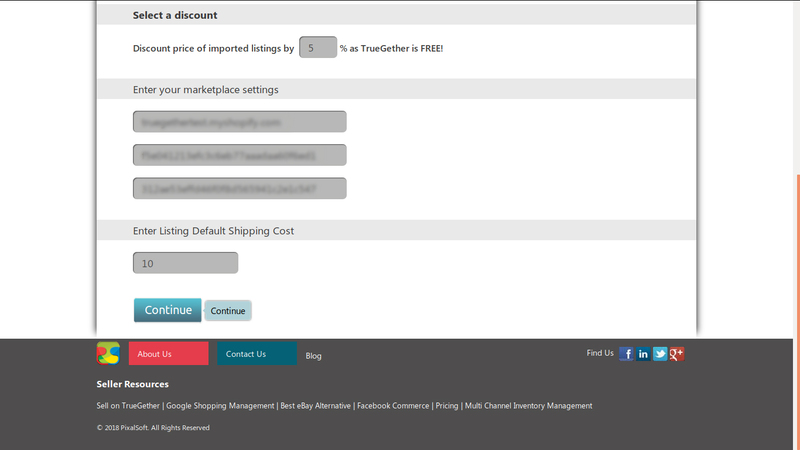 Fill the discount percentage in the “select discount box“ as TrueGether does not charge any listing or selling fee. You can enter any positive number in this discount box. Also if you have eBay store then check the box and if you don’t have eBay store then leave it un-checked. 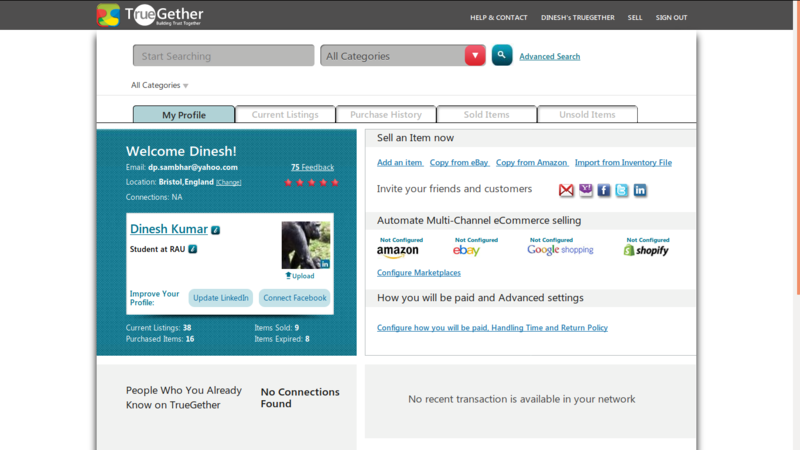 You will be able to manage Amazon, eBay, Google Shopping automatically from TrueGether. When you add, edit or end listings on eBay, it will be automatically reflected to Amazon, eBay and Google Shopping. Why Multi Channel Inventory Management Systems are a Boon for Online Sellers? When you are an online seller, you want to increase the sales of your product. As a result, you opt for selling your products on a maximum number of marketplaces like eBay, Amazon and Shopify as well. If you think that’s easy, then think again. The headache of managing different e-commerce seller accounts, updating the inventory and keep track of the customers can get so severe that you often think of hiring a person and letting that person handle it all. Well, we have got a better solution for you. You should trust a multi channel inventory management system like the one provided by TrueGether. We will not only ensure that all the product descriptions/images and other details are filled automatically on various e-commerce platforms, but it will also keep an eye on inventory and change it automatically when a product is sold on any of the platforms. Sounds interesting? Here’s what benefits you can expect from Multi Channel Inventory Management Systems. As you may have guessed, using a Multi Channel Inventory Management System is very time saving as the product description you upload on one platform is automatically updated on various other e-commerce platforms. Also, when a product is sold, you don’t have to log into all seller accounts and update the inventory. It is automatically done. You can use this time to come up with more innovative products you can sell that can boost your sales. Big sellers who don’t have the time or inclination to write product descriptions on different platforms or update inventories regularly often hire a resource to deal with such tasks. When you trust a multi channel inventory management System instead, you will not need to hire a resource and bear related expenses like cost of recruiting a person or the salaries, benefits of that resource. When you trust a reliable Multi Channel Inventory Management System that is created and tested by experts, you can be sure that there will be no scope for errors. For instance, if you have 5 product quantities listed at eBay and TrueGether and 2 are sold on each platform, the system will update 1 quantity left on both platforms. When there are no inventory mistakes, you will not lose any customers because customers will order only that quantity which you can provide. This will help you in keeping customers loyal to you and boost your customer base. Remember, no customer likes selecting an item paying for it and then knowing that you can’t deliver. You can avoid such pains by trusting a good multi channel inventory management system. Now if you are looking for a perfect Multi Channel Inventory Management Systems and the ones available in the market seem too expensive then you should know that TrueGether has an awesome Multi Channel Inventory Management System that can help you to maintain your inventory at not only TrueGether but other platforms such as Bing, eBay, Amazon, Shopify and Google at no cost. Try it today and boost your sales, customer loyalty and business reputation at once.